The world is changing – will your PhD matter? At the dawn of the Sustainable Development Goals (SDGs) – which ushers in 17 new goals in a global agenda to “end poverty, protect the planet, and ensure prosperity for all”, most countries will be realigning their national development goals to be in tune with these global goals to realize specific targets over the next 15 years. As a researcher, one thing will soon become obvious in the midst of this global effort to bring about change – that is future research grants will be awarded primarily around these 17 SDG goals. An important question – “how your research fits in this global agenda?” arises for you and other PhD researchers who will soon be applying for these grants to drive your respective fields forward with whatever piece of the bigger science puzzle you will be solving. It will not be an easy task to find one’s footing in the fast changing terrain of global goals and priorities, and Dr Liz Grant of the Global Health Academy at Edinburgh University is not shy to point this out. But, thankfully, not without some pointers to a way forward. Dr Grant has had extensive research experience at the level of Global Health with her many years of research in palliative care around the globe. In her talk on the ‘Impact of PhD Researchers on Global Health’ which she delivered at the Global Health PhD Network event in October 2015, she had a lot to share. In a talk that was neatly supplemented with real life examples of her own research, Dr Grant carefully led the thoughts of the PhD researchers in the room on a number of issues, which in her opinion will soon become important in their researching career in the light of the new SDGs. Top of her list was the need for PhD researchers to start thinking of where to find other pieces of evidence for their research. “What matters in your PhD”, she said, “is pulling materials from connected disciplines and connected areas and making sure you draw them in – use the materials out there…network pieces of information together”. In truth, that is how science works in our day through extensive bridge building across multiple disciplines and you probably have come across this a number of times already in your field. The rewards of this approach is long term and may not be immediate which in the little time space of a PhD makes it appear impractical. But in Dr Grant’s view, your research questions are still questions because there have not been enough conversations around them for others before you to have answered them. This is a brilliant way to look at things because in a way it challenges you to start expanding the discourse around your research to span more than just the area of your interest, to generate interest in other relevant fields. But what good might all that knowledge you obtain as a result be, if not for the good of mankind. “Knowledge for knowledge sake is wonderful”, she says, “but knowledge to make a difference is why you are here and why I am here and why the university is here”. The message here is pretty simple – don’t let your PhD be only just another addition to the vast collection of information sitting on shelves around the world and only collecting dust. But it should be one that works and makes a difference. And she thinks you can achieve this by starting to think about your PhD research in terms of who the constituents are (i.e. those directly affected by what you are doing), how you will engage the public on important issues like the burden of the problem you are dealing with or trying to help solve, and also the economics involved and equally importantly why your research needs to be prioritised in the face of other competing research. Huge task, but is it beyond you? Of course not. A big step forward in making any of the impact that would make your PhD research matter is through advocacy. Because the impact is kind of often seen through advocacy, she said, in doing things like, writing blogs, getting local workshops, and communicating what you are studying to people who have the connections to make things work. “People built systems and people can take it down,” she says in reference to the perpetual ‘brick walls’ of resistance that bureaucracies will mount on your path. Keep talking to as many people as possible and never ever underestimate the power of networking because you can change things in partnerships. In bringing all this home, Dr Grant urges PhD researchers to think once again about their PhD and ask themselves what are the core components of what they are doing. For instance in her own research in palliative care then this would be about the core components of a health care system. Ask yourself if your research is around the core components. If not, what can you do to create the conditions necessary for change? Are you getting the right materials at the right time to create these conditions? And will these conditions support a sustainable system? Also what is the national architecture like in your country that will mean your piece of research can fit in. Answers to these questions and a lot more which couldn’t fit in this piece are what in Dr Grant’s expert opinion would make your PhD make an impact. Dr Grant’s talk was preceded by a lively PhD poster session that saw four PhD students from the University of Edinburgh present their research work from four different regions around the globe. The first poster by Sara Valencia looked at vaccine trials in Southern and Central America (Colombia, Brazil and Mexico). A second poster that looked at the prevalence of Non-communicable Diseases and the entitlement to and the use of health services in the Gaza strip was presented by Majdi Ashour. Mkululi Wami presented the findings of a research work he carried out in Sub Saharan Africa in Zimbabwe which used antibody responses based on parasite egg counts to estimate infection prevalence of schistosomiasis in young children. The last poster was presented by Ai Oishi on a research that sort to identify patients for palliative care approach in primary care settings in Japan. The Global Health PhD Network started, in October 2014, as a student-driven interest group within the Global Health Society, University of Edinburgh, with the express aim of bringing together like-minded postgraduate researchers from the three colleges in the university for research sharing, knowledge and skills exchange, networking and shared global health career development. The Network has hosted a series of events during the past year to bring together PhD researchers in the university to listen to and to share thoughts on important issues surrounding global health. And their most recent event (the one I just described) was yet another opportunity for the Network to reiterate its vision of creating an environment that supports and promotes cross-disciplinary networking by inviting PhD poster presenters from all three colleges of the university. Again, looking back at some of the key points in Liz’s talk on the importance of networking and advocacy for PhD researchers, you realise that the Global Health PhD Network has its priorities well placed, doing things right as it should be and is already on the right bus into the future. From 1-11th June I was part of the International Federation of Medical Students Association’s (IFMSA) delegation at the UNFCCC intersessional’s in Bonn. The IFMSA has been engaging diligently in the UNFCCC process for over 5 years working to reinforce the climate and health nexus within the negotiating text. Our efforts have been greatly appreciated by delegates and the global climate policy community, as there is a relatively small health community engaging with the UNFCCC, despite the recognition that climate change is the “greatest threat to global health of the 21st century” (1). Last December, our work was rewarded in the Lima Call for Action where health was placed firmly in the preamble of the text (2). We entered these intersessionals with positive spirits, due to recent successes of the World Health Assembly, which took place in Geneva the previous week. This resulted in a resolution on the public health dangers of air pollution and the need to phase out fossil fuels in order to both tackle ill-health from pollution and reap co-health benefits of climate change mitigation (3). However, as we head towards COP21 in Paris, which aims to produce a legally binding global agreement, there is concern that the need to dramatically shorten the text will force certain issues into the side-lines. Our aim from now until Paris is to use the contacts we have made at these intersessionals and previous COPs to coordinate a larger coalition of countries that will provide a strong position on health in the new global agreement. This was my first experience as a delegate at the UNFCCC, and despite not having particularly high expectations, I must admit that the pace of the talks was even slower than I had expected. Negotiations hardly got further than discussing commas and brackets and how these could be used to shorten the text from its former 96 pages to something more manageable. However, after day 6 they had only managed to cut this down to 86 pages, and nothing of the substance of the text had even begun to be discussed. This was frustrating for many of the organisations who had come to lobby delegates on a breadth of issues which need to be included within the text such as human rights, intergenerational equity, gender and health. Being part of the youth constituency, I found there were many barriers to prevent our voices being fully considered. From informing us of interventions less than hour before, not providing adequate translation services, giving us interventions only at the end of sessions and forcing our creative actions to be within strict rules and regulations; our opportunity to represent young people, who are going to be most impacted by the decisions, was severely restricted. The lack of representation of the Global South also made me question the legitimacy of the process. How are we supposed to go about constructing effective policy solutions when those suffering the most from climate change are not represented? Of course, this is not an issue unique to climate change policy, but to witness this stark injustice in reality was a powerful reminder of the need for change. After spending the past year being involved with local and national action on climate change and health, the pace and level of engagement at these high level negotiations was at best disheartening. It is clear we cannot wait upon the UN to ensure effective solutions to the impending and already tangible impacts of climate change. Whilst the IFMSA and others will continue to be at the forefront of ensuring a legally binding and successful agreement that will protect and promote global health, we rely upon a forward thinking global health community to implement solutions in their own communities. This needs to go beyond acknowledging the intersections between ecology and health towards being part of the structural change needed to ensure a sustainable and healthy future. This is a critical year for climate action and the implications of inaction on our health and our future is unprecedented. I hope to continue to work within the UNFCCC, but also to bridge the gap between this process and community action which is a key part to building climate resilience. Through attending several side events during the conference I also found that public health provided an important and coherent narrative in which to address a wide range of climate change issues from food and water scarcity, air pollution, occupational and community health surround fossil fuel extraction, transitions towards sustainable active transport and rising infectious diseases in crops, livestock and people. It was clear that health is a powerful tool to provide an anchor of agreement in the UNFCCC, as well as provide a lens to engage a breadth of people with climate change. I look forward to tracking the progress of the UNFCCC and hope that an agreement in Paris will be reached that will mobilise the diverse and collaborative movement needed to save human and ecological life on this planet. ADP2.9 – Meet the IFMSA Delegation! 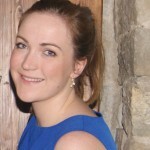 Eleanor Dow – Medical student at the University of Edinburgh and coordinator of Healthy Planet UK, a network of students raising awareness of the links between climate change and health. Surgeons have long felt that the importance of surgery has been lost in past efforts to impact on global health issues. The Lancet Commission on Global Surgery seeks to address deficiencies in surgical and anaesthetic care, provide evidence and solutions for achieving health, as well as welfare and economic development through the strengthening of surgical health systems in Low and Middle income Countries (LMIC). 5 billion people lack access to safe affordable surgical services when needed. Nine of ten people in low-income and lower-middle-income countries cannot access basic surgical care. 143 million additional surgical procedures are needed each year to save lives and prevent disability. Only 6% of 313 million procedures that are undertaken worldwide annually, are performed in the poorest countries. 33 million individuals face catastrophic health expenditure to pay for surgical services. Investment in surgical and anaesthetic services saves lives, is affordable and promotes economic growth. Surgery is an indispensible part of health care and should be an integral component of a national health system in countries at all levels of development. A minimum of 80% coverage of essential surgical and anaesthesia services per country. 100% of countries with at least 20 surgical, anaesthetic, and obstetric physicians, per 100,000 population. 100% of countries tracking surgical volume, a minimum of 5000 procedures per 100,000 population. 100% of countries tracking perioperative mortality. 100% protection against impoverishment from out of pocket payments for surgical care. 100% protection against catastrophic expenditure from out of pocket payments for surgical care. Some might see these as challenging for some developed countries so how can these objectives be met in developing countries where increasing funding of health care still results in disparities. We know that targeting specific health care issues through philanthropic support in the developing world has brought about mixed success. Numerous philanthropists and charities have stumbled in attempting to deliver sustainable solutions when investing in facility or service. Outreach programmes from well intended overseas surgical teams may actually impact adversely on the very environment that they hope to support. Essential emergency provision of surgical care may be compromised when, for example, limited facility is set aside for the orchestrated elective missionary surgery. The conditions or surgical pathology targeted or technology being shared may seem entirely appropriate to the visiting team but may be largely irrelevant to the needs of the local population. Investment in infrastructure may seem to produce a tangible legacy for the donor but it is challenging to maintain such quality facilities when these are seen by some as a source of material to be plundered to support their families in desperate financial need. Furthermore, some initiatives have been been criticized for focusing too narrowly on the capacity of science and in neglecting the importance of economic, social, and political factors. Such surgical initiatives require significant funding and need to be considered in parallel with improvements in public health, education and the health system. Pressurised surgical services dealing with trauma in the developing world might rather welcome greater health and safety regulation, improvements in street lighting, better maintained roads and greater driver regulation. So where to start? Records often do not exist so reliable surgical audits or death rate statistics for surgery do not exist in LMIC. Investment in information technology is limited in most developing countries but finance is required to obtain key information that would identify clearly the needs of surgical services in the LMIC. GlobalSurg is a collaboration supported by Clinical Surgery at the University of Edinburgh (http://globalsurg.org/get-involved/). The group is currently using an international network of training and qualified surgeons to study variation in outcome of emergency intra-abdominal surgery across various clinical settings. It will determine whether globally relevant quality improvement strategies are needed within acute surgical units. This project would serve to provide much needed information in an area of acute surgical care and will allow development of regional, national and international surgical networks. The group recently published on the benefits of these networks in the Lancet. There is no reason why the group cannot establish key global studies, including the opportunity for randomised trials. Humanitarian and global surgical outreach programmes have been supported by surgical colleagues in Edinburgh at considerable personal social and psychological sacrifice. Such direct support has undoubtedly had significant impact on the lives of those affected by conditions including those arising from complications of obstructed labour. The social stigmata attached to this condition are considerable and the repair transforms the patient’s existence. And yet, the procedure to correct a vesicovaginal fistula is categorized as a ‘can do’ rather than a ‘must do’ surgical procedure. Where should the priorities lie when the challenge is so immense? How can such outreach programmes deliver a legacy in a developing country? The target set by the Commission that 100% of countries should have at least 20 surgical, anaesthetic, and obstetric physicians per 100,000 population is formidable. We have experience supporting surgical training in Malawi which produces some 100 medical graduates per year. However, for a population of 17 million people, there are currently only some 15 trained surgeons in practice since many move overseas when they are exposed to the opportunities that exist for well-trained doctors in the developed world. 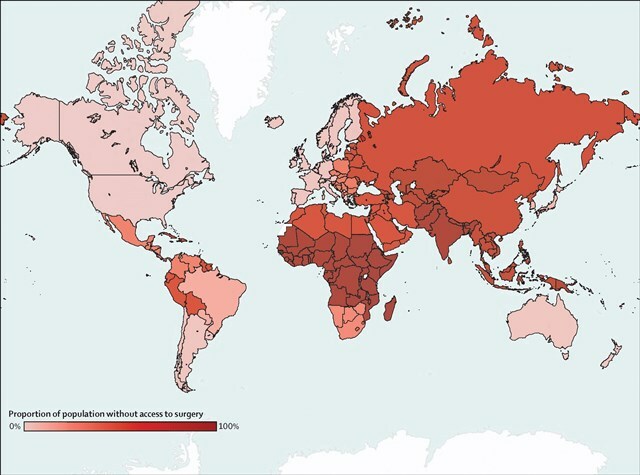 The Lancet Commission requirement by 2030 is projected at 60 specialists per 100,000 population. It is difficult to imagine where the additional 10,000 or so specialists will emerge for Malawi without substantial investment. Scotland has a strong tradition of investing in education on Africa. Gordon Brown as UN Special Envoy for Global Education, and through the Office of Gordon and Sarah Brown, has promoted and initiated education programmes in Africa. Edinburgh University has invested strongly in postgraduate educational initiatives that have benefited LMIC. The huge success of our own surgical distance learning programmes has allowed us to support more trainees from these countries. Our surgical Masters programmes currently have over 450 students enrolled in 40 different countries. In 2009, the Scottish Government and J&J/Ethicon supported the University of Edinburgh and the Royal College of Surgeons of Edinburgh to deliver free postgraduate educational support to training surgeons in Malawi. Since then, the first three students have graduated from the three-year distance learning course which supports the educational and professional needs of the young training surgeon. Six more Malawian trainees are currently in the programme. Surgical trainees have been supported without the need to remove them from the area of greatest need. The programme content adds value to their in-the-workplace training and allows the young surgeon to attend to local service needs. We are also aware that educational resource has been extended to medical assistant practitioners who are a vital link in the surgical care chain. The Lancet Global Commission has ensured that surgery can no longer be overlooked as a health need for the world’s poorest people. The Commission has set itself ambitious targets but no one initiative will address the current unmet need. Better global surgical and anaesthesia care will only be realised through increased investment in human and physical resources. Early and urgent domestic and external investment in surgical and anaesthesia care is needed to realise these returns. Our group sees itself as being in a strong position to invest in the postgraduate education of the surgical workforce in these countries. 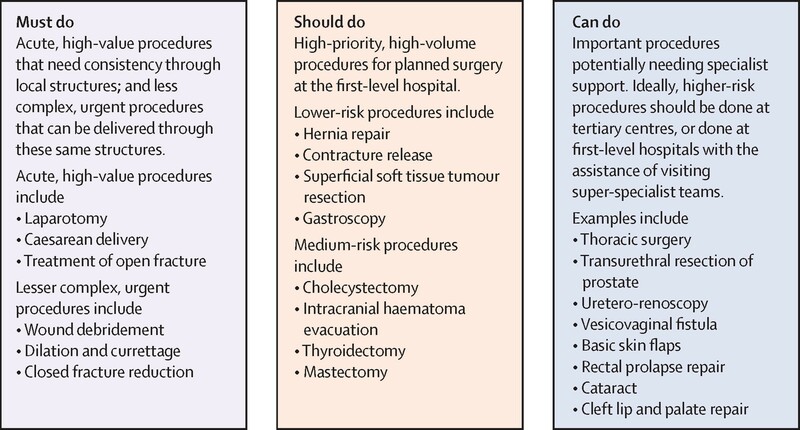 Similarly, research, monitoring, and assessment will have to play an increasing and crucial part in the future of global surgical and anaesthesia care. There is a paucity of scientific rigor around implementation science, and an absence of globally accepted surgical metrics which have contributed to past neglect of surgical and anaesthesia care within global health. A commitment to better understand the problems and solutions should be a priority for those dedicated to improvement of surgical and anaesthesia care worldwide. We will continue to invest primarily in the training surgeons in these LMIC through postgraduate education. In this way, we should empower the very body that can engineer change locally so that we might yet see some practical light at the end of a very long tunnel. I have been involved with the fossil fuel divestment movement over the past year, both with the University and through Healthy Planet UK, after coming to terms with the enormity of climate change and the need for urgent action. As a medical student I am compelled by a similar duty of care towards our ecosystem, on which our health depends, and am called to respond to its current symptoms of distress. Divestment offers a way to treat one of the root causes of these symptoms – the continued burning of fossil fuels – through moving investments away from the fossil fuel industry whose business model relies upon burning reserves which currently hold over five times that which is safe to burn if we are to stay below the 2 degrees celsius limit of global warming Akin to the health sector leading divestment from the tobacco industry, there is a similar narrative in the response to the health threat of climate change further weighted by tactics utilised by the fossil fuel industry to thwart climate mitigation policy and mar public perception of the reality of climate science. UK universities hold around £5.2 billion worth of investments through their endowment funds in the fossil fuel industry. However, divestment is not simply a matter of money, most divestment decisions have been driven by a moral case. It rests on a simple principle -if it is wrong to wreck the planet, then it is wrong to profit from that wreckage. For the medical tradition investing in fossil fuels can be seen to contradict the fundamental principle to “first do no harm”. So far 21 universities, 35 cities, 65 religious organisations and numerous other organisations from around the world including the British Medical Association have committed to divesting from fossil fuels. Medical institutions and the health community have a unique awareness of climate change through its current and future impacts on human health, but also through the potential immense health co-benefits of tackling climate change such as reducing the disease burden of air pollution, which has been attributed to 2000 premature deaths annually in Scotland, and encouraging active travel through reducing our reliance on fossil fuel guzzling cars. This gives an important dimension to the divestment dialogue and the engagement of medical schools and health organisations is sure to be very valuable. On the 3rd February, Healthy Planet are publishing their report “Unhealthy Investments”, co-authored with MedAct, The Climate and Health Council, Medsin and the Centre for Sustainable Healthcare. This will be a crucial step towards further engagement on fossil fuel divestment from the health sector. It will involve a panel of expert speakers to discuss the question of whether organisations which work to improve health should continue to invest in fossil fuel extraction and production companies. Should the health sector be taking more of a lead in this issue? There is certainly great potential in engaging with the process and evaluating how best our pension and endowment funds can be invested towards a healthier and more sustainable future. The recent report from the UK’s All-Party Parliamentary Group on Global Health and Mental Health (MH) is very welcome. Not only does it describe the parlous state of MH services in many parts of the world, it presents an evidence-base for global action. It is important to acknowledge, for example, that patients can be caged, chained or subjected to abusive traditional approaches and that Western mental health services are not all bad. The report summarises the growing body of research showing that there are cost-effective solutions to mental health problems that even the poorest countries could implement and benefit from. These include improving social and economic environments, integrating mental health into general health care, using trained and non-specialist health workers to provide culturally appropriate community care, increasing access to self-help and empowering people with mental health problems to support and advocate for themselves and each other. Further, and more specifically, the WHO (1) have previously shown that interventions such as psychosocial and antidepressant treatment are ‘very cost-effective’ interventions for panic disorder and depression throughout the world, and that psychosocial treatments plus older antipsychotic and mood stabilising drugs are ‘cost-effective’ for schizophrenia and bipolar disorder. Another report released in November, from the Overseas Development Institute (2), gives a complimentary perspective – mental (ill) health does not receive due policy attention due to stigma and a lack of coherence across the mental health community. The time has come for the mental health community to work together to achieve shared goals such as reducing stigma and increased funding for MH services across the globe. 1.Chisholm D, on behalf of WHO-CHOICE. Choosing cost-effective interventions in psychiatry: results from the CHOICE programme of the World Health Organisation. World Psychiatry 2005; 4: 37-44. 2. Mackenzie J. Global mental health from a policy perspective: a context analysis. Overseas Development Institute 2014. Hepatitis E Virus – An Emerging Infection in Scotland? Globally, liver disease caused by hepatitis A, B, C, D and E viruses is estimated by the World Health Organisation (WHO) to cause the death of around 1.4 million individuals annually. On World Hepatitis Day, 28 July 2014, the WHO underlines the recent resolution of its World Health Assembly directing its 194 Member States to ensure they have national policies in place to address the challenge of viral hepatitis in a manner that builds on local, national and international expertise and experience with a view to combat the hepatitis viruses successfully. Worldwide, hepatitis E virus (HEV) is an emerging infection with a current estimate of around 20 million infections occurring annually – with >3 million acute cases and around 57,000 deaths (WHO data). The virus is transmitted primarily through the faecal-oral route causing mostly asymptomatic infection but HEV acquisition may also develop into overt hepatitis and fulminant hepatic failure. Although HEV prevalence is highest in East and South Asia, it is now clear that the infection is a global challenge that does not require travel to such high prevalence areas. Instead, autochthonous (locally acquired) hepatitis E is now a recognised component of UK HEV epidemiology with an increase in HEV cases having been observed in the British nations. In particular, recent collaborative research between NHS Lothian and the University of Edinburgh has highlighted the situation within the Lothian health board. Equally, Health Protection Scotland (HPS) has observed a substantial national increase in laboratory reports of HEV infection rising from 15 cases in 2011 to 95 reports in 2013. Although no HEV outbreaks have been reported in Scotland, greater awareness of autochthonous HEV has led to a general increase in HEV testing with identification of cases. As a result of the above, NHS Scotland is collaborating closely with the University of Edinburgh and other Scottish research institutions with a view to forge a national approach to the prompt identification and management of HEV infection as well as delineating some of the research required to further our understanding of the virus and its pathogenesis thereby supporting the WHO in its efforts to combat viral (HEV) hepatitis. Zoonotic diseases neglected for decades. As part of a study to analyse changes in global health priorities at the global level of the resolutions adopted at the World Health Assembly – the decision making body of the WHO – the relative neglect of endemic zoonotic diseases has been highlighted. This work has recently been published in PLOS NTDs, and has received widespread media attention. The eight diseases of interest (anthrax, bovine tuberculosis, brucellosis, cysticercosis, echinococcosis, human African trypanosomiasis (HAT), leishmaniasis, rabies) are part of the group termed Neglected Zoonotic Diseases (NZDs) at an international meeting in 2005, so called as they are “not adequately addressed” at national and international levels. Zoonotic diseases are defined as diseases that are transmissible between humans and animals. In the last decade, the Neglected Tropical Diseases (NTDs) have received increased global attention, and recent events celebrated the increased advocacy and control that has occurred. The research highlighted that these diseases have received relatively little attention at the global policy level, living up to their neglected title. In developing countries where these diseases remain endemic and resources are limited, the control of these diseases is limited as other high profile diseases are prioritised. Some of the diseases have high fatality and cause a high number of deaths globally each year. For example, rabies causes an estimated 60,000 deaths worldwide, yet this disease remains neglected despite evidence that the disease can be effectively controlled through dog vaccination. Neurocysticercosis is the greatest cause of preventable epilepsy worldwide, causing an estimated 30% of the 17 million cases of epilepsy in areas where the causative parasite is endemic. This disease can be controlled through sanitation and improved pig husbandry, and improved diagnosis of human infection, requiring a multi-sector approach. Following the London Declaration on NTDs, there has been increased focus on NTD control. Of the NZDs, only leishmaniasis and HAT are included in the ten diseases which are the focus of the declaration, meaning that the other diseases are not benefitting from the increased Research and Development and drug donations that the other NTDs are experiencing as a result of the declaration. This study highlighted three diseases in particular that are not included in the WHO NTDs. Anthrax, brucellosis and bovine tuberculosis have therefore not received the increased attention that the other NTDs have seen. Upon the inception of the WHO in 1948, around twenty zoonotic diseases were determined to be diseases of priority in the WHO, including bovine tuberculosis and brucellosis. Despite this, there have not been any resolutions adopted for these diseases since 1950. For these diseases, effective and simple control methods exist, meaning that they are no longer endemic in many developed countries. It is therefore astonishing to many that they remain neglected. It seems that these diseases are particularly neglected due to the complexities of controlling diseases that affect both humans and animals, and the required communication and collaboration between human and animal health sectors, both at community and ministerial levels, that is sometimes lacking. This despite the dual benefits that would be received by both human and animal health sectors upon increased effective control methods. The international attention that has been received following the publication of this research may be indicative that the neglect of these diseases – some of which are well known and well controlled in some countries – may be something which is surprising, but that there is desire to reduce this neglect and therefore the deaths that occur as a result. In order to reduce this neglect, we must see increased cooperation and communication between human and animal sectors at all levels, and efforts to increase the advocacy for the control of these diseases. 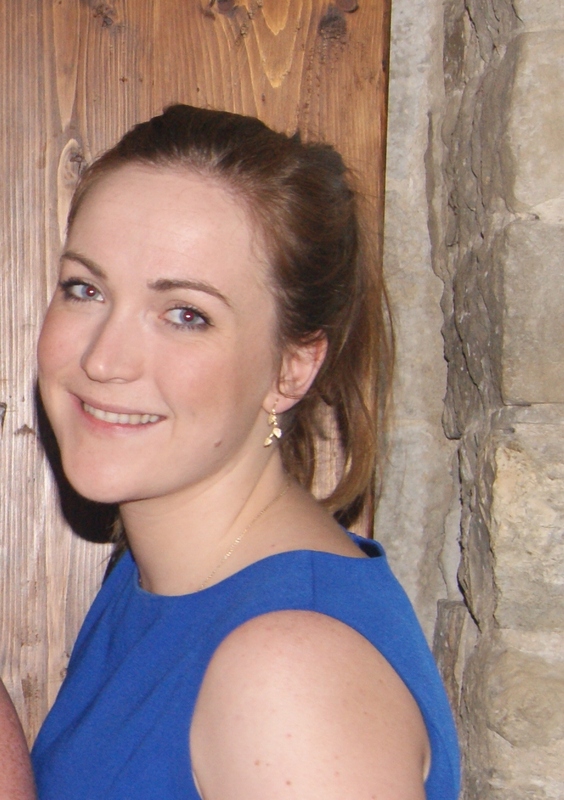 Ms Hayley Mableson is in the final stages of completing a PhD from the University of Edinburgh. 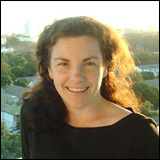 Her research to date has focussed on global health advocacy and its application, with particular emphasis on the neglected tropical and zoonotic diseases. The publication of the second report on Uniting to Combat Neglected Tropical Diseases entitled “delivering on promised and driving progress” marks remarkable progress that has been achieved in the last two years in this field. In January 2012, the London Declaration on Neglected Tropical Diseases marked commitment from a wide range of organisations and industry to achieving the goals of the WHO roadmap to control, eliminate or eradicate ten of the NTDs. To mark the launch of the report, on the 2nd April 2014 global leaders convened in Paris to discuss the progress that has been achieved so far. In this “conversation on progress”, Director-General of the WHO Margaret Chan thanked endemic countries, organisations and industries for their commitment to this cause, and commented that these diseases are no longer neglected as they are “shining a light” on these diseases which shackle over 1.6 billion people worldwide. Control of NTDs must be a priority in order to achieve the targets of the Millennium Development Goals as they affect the world’s poorest populations. Since the establishment of the NTD department in the WHO in 2005, effective advocacy has increased the profile of these ancient diseases, and they have been described as a “rags to riches story”. In the two years following the London Declaration, which was endorsed by thirteen pharmaceutical companies, the drug donation pledges made by these companies have been fulfilled and in some cases surpassed. These donations allow countries to fulfil and increase the demand for treatment, and have resulted in the scaling up of control interventions as drug supply has been removed as a barrier to the control of a number of the NTDs. Seventy four countries, representing around two thirds of all NTD endemic countries have now developed national plans for the control of NTDs. This country ownership is an important factor in the increased commitment to control, eliminating and eradicating these diseases. Coupled with capacity building and political commitment NTD control can be a success. The adoption of a World Health Assembly resolution on all seventeen NTDs in May 2013 has been described as a “landmark” in NTD control. Not only does this resolution confirm country commitment to NTDs, but it marks a change in the way the world is approaching NTD control. Throughout the history of the WHO, there have been many resolutions adopted which focus on one or more of the NTDs, but the adoption of the 2013 resolution highlights the change to integrated approaches to NTD control. When we consider the NTDs collectively, they represent an enormous burden on human health, and many opportunities exist to control several of these diseases in combination. New funding was also announced in conjunction with the report representing increased commitment from a range of partners representing a new collaboration to control soil-transmitted helminths. This collaboration and funding highlights how multi-partner and multi-sector collaboration is becoming increasingly important in NTD control. The report highlights that commitment to NTDs has gained momentum since the London Declaration. In addition, the 2013 resolution on NTDs marks a global pledge by Member States to the control of these diseases that in turn can leverage even more commitment. In the last two years, the light has begun to shine brightly on these diseases that afflict the world’s poorest and most vulnerable populations. The control and elimination of NTDs is now recognised as one of the best investments in development. As the report states “much has been achieved, but much more work lies ahead”. We must continue to increase commitments and activities to control NTDs. The report highlights the success and fulfilment of commitments to the ten NTDs included in the London Declaration, but there remain seven of the defined NTDs without such multi-partner pledges of drug donations and increased funding. World Health Day on the 7th April this year focusses on Vector Borne Diseases. This includes a number the NTDs such as leishmaniasis and sleeping sickness. We must build on these recent success and increased momentum and continue to combat these ancient diseases while the light continues to shine.